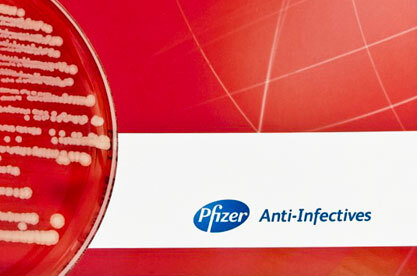 Many Pfizer associates worldwide were not able to attend the inaugural infectious diseases clinical forum that took place in Sydney. 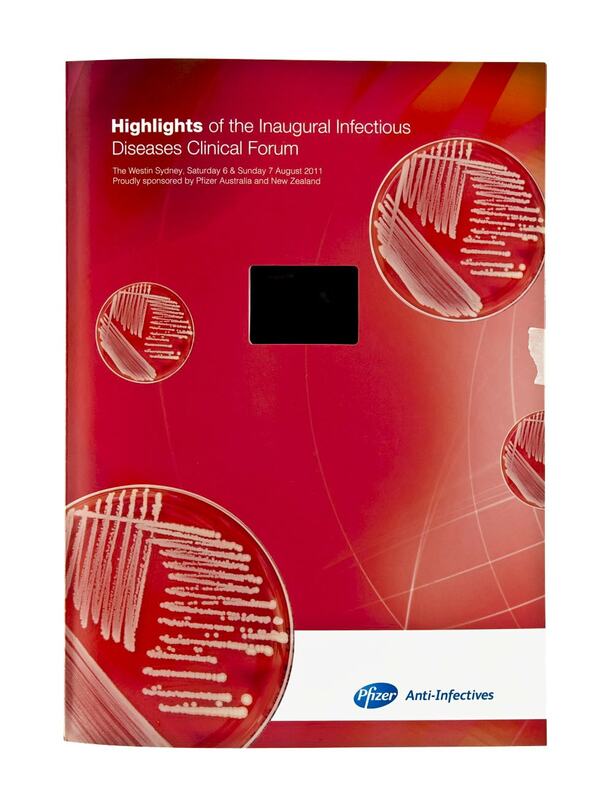 With many renowned professors speaking at the forum about their innovative research and breakthroughs in the field, Pfizer needed a unique vehicle that would allow them to share these informative lectures with their own team and other leading researchers in the field. Pfizer worked with Americhip to produce an innovative, multi-page video brochure which included Americhip’s Patented 2.4” VIP Screen. 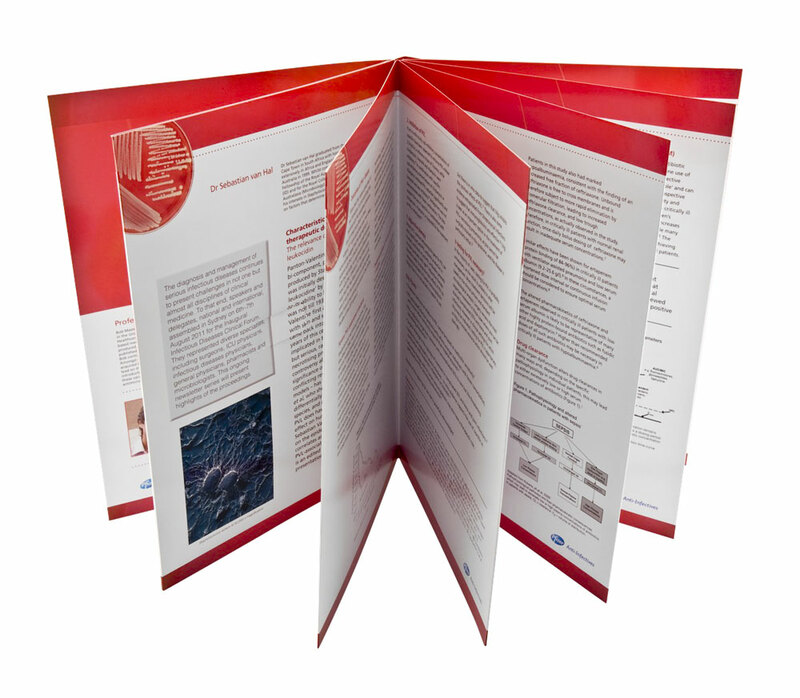 This was no ordinary brochure because it took advantage of Americhip’s patented navigation model that comes complete with volume control and the ability to fast forward and rewind through the video content. Two of the keynote speakers from the forum were highlighted and recipients were able to view the lectures just as they would on a DVD player—with full control over the content and playback. The video content was supplemented on the five spreads which summarized important data. Pfizer was able to share important insights and information with its own team and key researchers through an innovative communication tool. 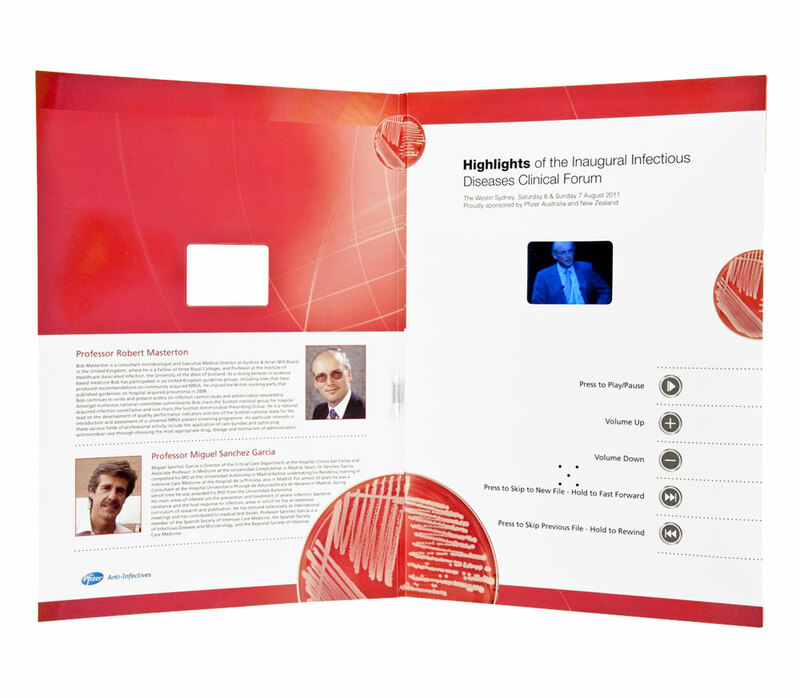 Pfizer received strong feedback both from its sales team in the field and the targeted audience who received the forum hand delivered in the innovative video brochure.